Intuitive easy-to-use touchscreen interface. Two dedicated keys - for easy access to the home screen and emergency functions. System supports one camera, which can be displayed on the touchscreen. Compatible with Honeywell Total Connect Video products. Alarm communication to AlarmNet® and lifestyle messaging via the user's internet connection. IOS and Android App Available. Provides control over thermostats, water valves, door locks, sirens, and more. Local, automatic and remote control via Honeywell Total Connect. 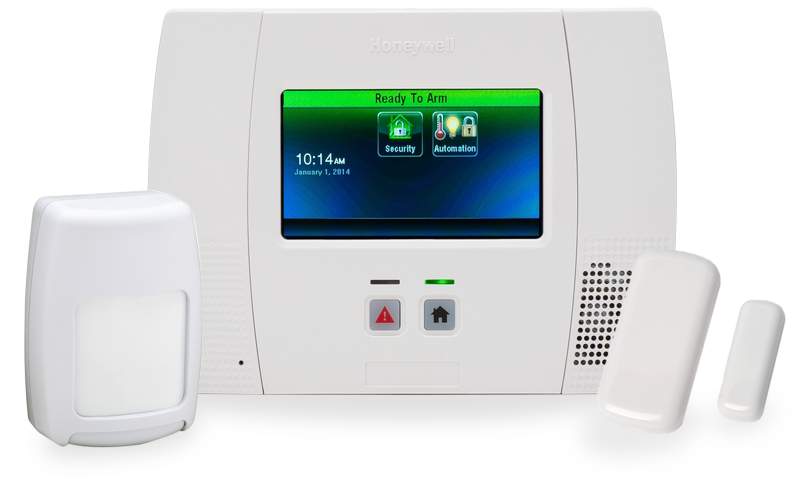 With APL enabled, the alarm can be reported even if the system is tampered with. Don't want to make holes? No problem! Just leave the keypad on a mount located near the entry door. Honeywell's LYNX Connect app provides you with the ability to use an iOS or Android™ device to view video and operate the system on premises. This includes controlling your lighting, locks, thermostats, water valves and more. With any project our security specialists will quickly install your new system as well as train you on all of its capabilities. Don't worry if you didn't let all that info soak in, were here to help with any questions you might have after your system is installed.